The story of Hayabusa, the Japanese space probe that was the first to successfully return material from an asteroid despite serious technical failures, has now inspired three major movies. Ten years after the passage of concealed carry laws, the fearful claims of opponents are proven false. During the debate, opponents of the change warned of gun-toting, trigger-happy citizens loose on the streets. But violent crimes have been rare among carrying a concealed weapon license holders. Only 2% of license holders have been sanctioned for any kind of misbehavior, State Police records show. Has DB Cooper been nabbed at last? Has the hijacker DB Cooper been nabbed at last? An evening pause: Live in Central Park, New York, 1981. John H. Marburger III, former science adviser to President George W. Bush and head of the White House Office of Science and Technology Policy, died this past week from non-Hodgkins lymphoma. He was 70. Apparently, because Marburger — a Democrat and one of the longest-serving members of the administration — supported some of the positions espoused by the Bush White House, that made him controversial. But in my 40 years as a journalist and 15 years of covering science, I can’t think of a person I encountered who was more earnest and straightforward. An evening pause: from blublu.org. Wondering why there have been no recent test flights of SpaceShipTwo? Virgin Galactic is taking a summer break. 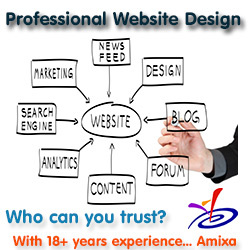 I want to ask you: How do you do business with someone like that? How do you do business with a party like that? “They want to destroy”? (I’ll grant that we think the Department of Education a total boondoggle.) “They want to destroy your rights”? I’m reminded of why I revolted against the Democratic party long ago: They all talked like this. They all regarded their opponents as monstrous or subhuman. And I knew it was bunk. And in a related note: Democrats — with no bill of their own — point accusing finger at Republicans. Tiangong-1 is not a space station hub. Mars Reconnaissance Orbiter released this picture yesterday of what the Orbiter’s scientists have labeled “The crazy floor of Hellas Basin.” Below you can see a cropped image of only one part of the large higher resolution image. 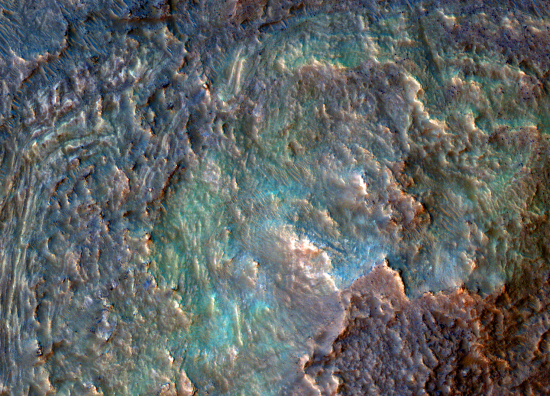 The NASA caption says that the wild colors probably “indicate that diverse minerals are present,” meaning that any settlers of the red planet will probably take a close look at this location with the reasonable hope of finding the resources they need to colonize a planet. 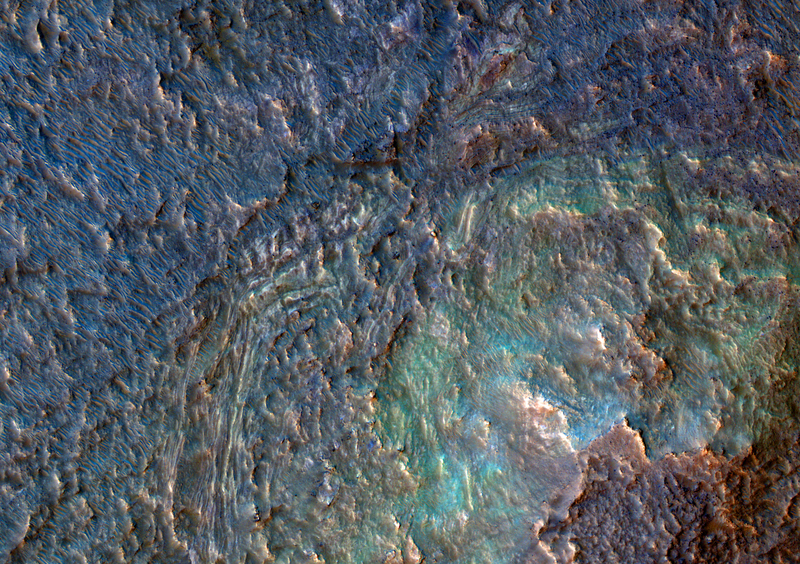 To me, these colors also indicate that this place on Mars would probably one of its most popular tourist spots. As I look at the image my eye instinctively wants to trace out the best trail route along the ridges and down into the gullies in order to give hikers the best view of this colorful terrain. After almost three years and seven miles of travel, Opportunity is now only about 1500 feet from the rim of Endeavour Crater. Go here to see all the winners. According to a new government report, the U.S. will pay for half of all health care costs by 2020. And exactly where will this money come from? What should spaceships look like? The headline says it all: New NASA data blow gaping hole in global warming alarmism. Fleeing the sinking ship: Two NASA managers take jobs at RPI. Astronomers have spotted the first Trojan asteroid to the Earth. Connie Dover – Where shall I go? Leave a comment	Connie Dover, entertainment, music, Where shall I go?